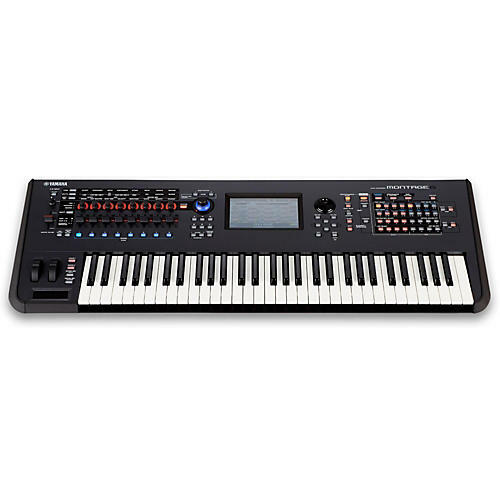 In their new flagship keyboard, the MONTAGE, Yamaha debuts the Motion Control Synthesis Engine, which combines and controls two iconic sound engines: AWM2 (high-quality waveform and subtractive synthesis) and FM-X (modern, pure Frequency Modulation synthesis.) These two engines can be freely zoned or layered across eight parts in a single MONTAGE Performance. One of the great advantages of any Yamaha product is their relentless design team, which routinely issues model upgrades and improvements. Released in September 2016, the version 1.2 iteration offers you MONTAGE Connect, a free VST3/AU plug-in and standalone PC/MAC application that offers user arpeggio creation, performance recorder loop playback, separate USB connection monitor volume setting and Super Knob control via MIDI CC message. MONTAGE’s two Iconic Sound Engines modernized for amazing sound playback and complex sound design. Powered by proprietary Yamaha technology for data compression and sound playback, AWM2 allows tremendous data compression without sound quality loss for realistic sound reproduction. Every instrument needs great content to inspire creativity, and MONTAGE features a huge range of incredible sounds like a brand-new Yamaha CFX Premium Grand Piano, detailed new strings and woodwinds and select content from the DX and TX family, all modernized to take advantage of the Motion Control Synthesis Engine. MONTAGE is directly compatible with MOTIF XF Voices. Yamaha is developing an FM converter to make it compatible with DX7 series Voices as well. And as part of the MONTAGE introduction, Yamaha is pleased to offer a detailed sample of a Bösendorfer Imperial Premium Grand Piano.